heat-treated steel frame, handmade in the USA by Waterford Precision cycles. 100mm REBA, 2x10 Deore, Shimano Deore hydros, Stan's/SRAM X9 wheels. 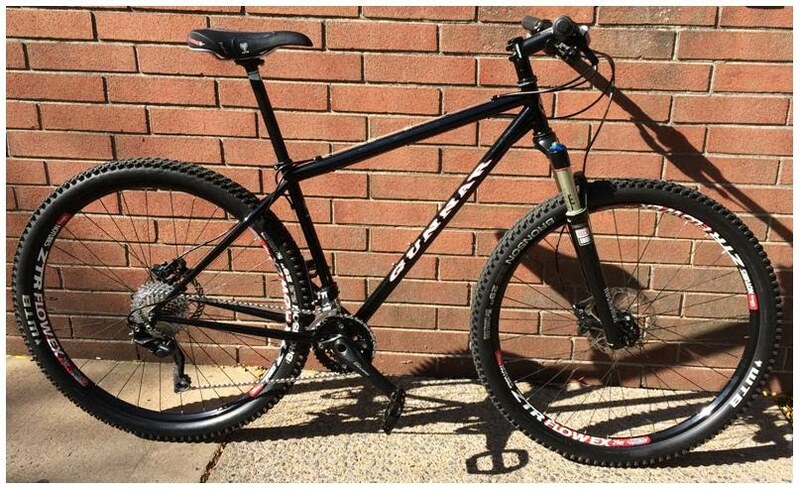 The Gunnar Rockhound is a classic cross country mountain bike. 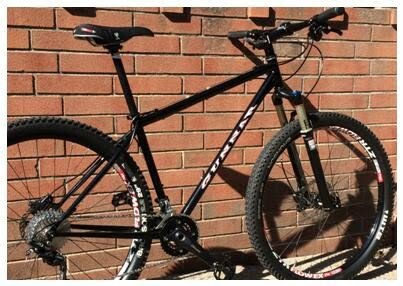 If you're looking for one bike to do it all, and do it all well, then a steel 29er hardtail is a great choice. Especially a Gunnar steel hardtail. These frames are handmade in the USA, in Waterford, WI. The frames are constructed out of Reynolds 853 and OX Platinum, the two very best steel alloys around. These are air-hardened, heat-treated steels with incredibly low strength to weight ratios, yielding lightweight, strong, and resilient riding mountain bikes that last forever. The frames are also TIG-welded. When air-hardened, heat-treated steel is TIG-welded, it creates an incredibly strong joint, much stronger than conventional low grade steel alloys. Because of these design features, Gunnar is widely recognized as one of the best steel frames available anywhere in the world today. The Rock Hound is no exception to Gunnar's legacy. Boasting an exceptional balance between climbing and descending, this bike rides exceptionally well on even the most technical trails. The geometry is designed to keep your weight back on descents, and push your weight forward on the climbs. The lively feel of this steel bike should keep you grinning from ear to ear. Typically, a custom build on a Gunnar can get a bit pricey, so we went a different route with this particular bike. Shimano's new Deore 10spd Dyna-sys group is so impressive that we decided to build this Gunnar Rock Hound up with full Deore kit. It sounds funny, but we feel Deore is back in a big way. Especially, since the rear Deore mech is available with Shadow plus clutch technology.